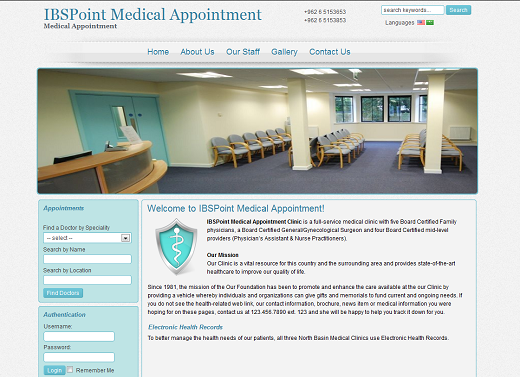 IBSPoint Medical Appointment is online doctor, therapist appointment and medical clinic system. This Appointment System is an application for handling doctor’s appointments. It enables patients to book an appointment using web-based interface, and administrator of the clinic/Doctor is able to approve/reject the appointment. Site visitors can perform search by doctor specialty and/or doctor name if you have multiple doctors on one site (e.g. Hospital, Medical Center or Clinic), view doctor availability and book appointments. Administrator can view and manage the appointments. SSL Encryption: Free with Yearly accounts, or US$20 for every 6 months.